Image Preview. 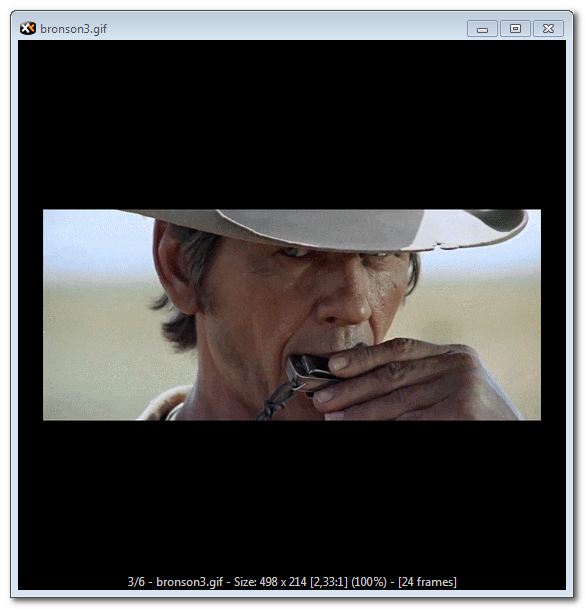 Now previewing Animated GIFs is supported. 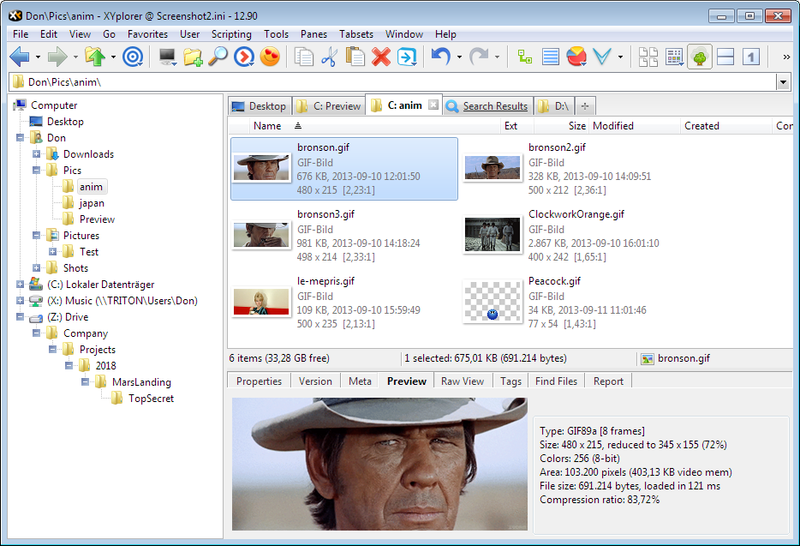 Simply select a GIF file and you see the animation in the Preview tab. You can even resize the running preview on the fly. Floating Preview. Also here previewing Animated GIFs is now supported. You can zoom in and zoom out, pan zoomed images with the mouse, use the full screen, wheel thru images, etc. Thumbnails. 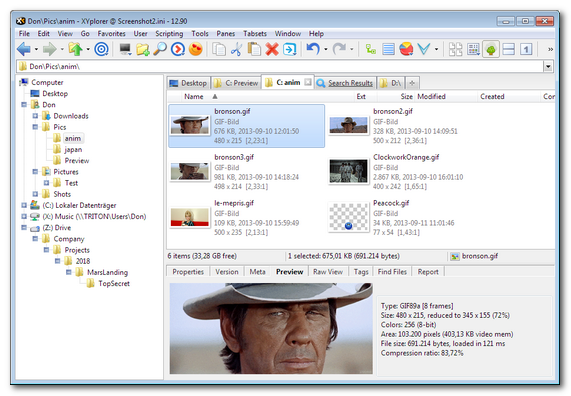 Now Mouse Down Blow Up is supported for thumbnails of Animated GIFs. 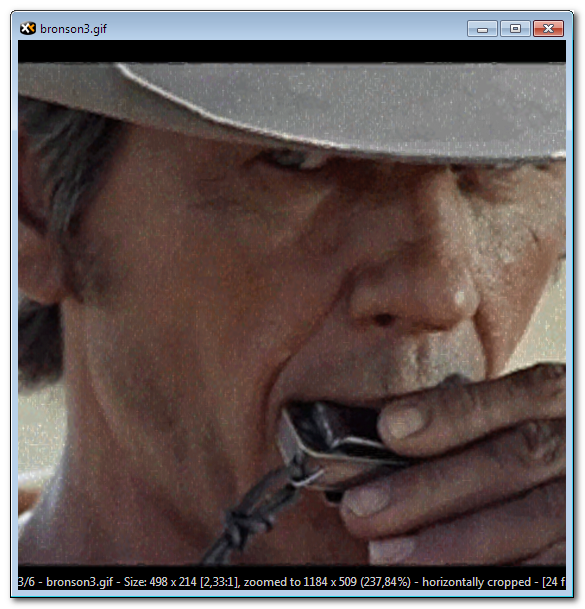 Simply hold the mouse down on a GIF thumbnail and the animation will instantly pop up at the mouse cursor. Ubercool! Here are some sample pics for testing. "Bronson, ever heard of a file manager better than XYplorer?" "No, babe, there ain't none. ... Uhm, I think you can drink it now."